The God of Thunder thinks he's pretty great. Thor thinks he's so great that, these days, he prefers to fight his own battles. 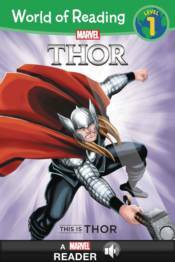 But when comes across a mysterious dragon artifact and a monster hunter Elsa Bloodstone Thor must face his deadliest foe yet. A 44-foot tall dragon monster named Fin Fang Foom! Will Thor confront his massive ego and accept help from his friends, Hulk, Captain America, and Valkyrie or will this be Thor's doom?